What does Ooma offer that I can't get from a landline? Call blocking: Landlines are notorious for pesky telemarketing calls. Ooma's powerful customizable system blocks more than 1 million telemarketing calls each month, something you typically can't get with landline service. Call quality: Ooma's PureVoice technology ensures that calls are always crystal-clear. And, Ooma's HD capabilities capture twice as much audio content compared to landlines. Pricing: Ooma's Basic Service lets you make unlimited nationwide calls for free (all you pay are taxes and fees), while Ooma's Premier Service costs less than $10 per month. Compared to landlines, you can save thousands per year by making the switch. No contracts: With Ooma, you enjoy all of the advanced home phone features you love with no contracts. Ever. Ooma really is the "smartphone for your home" - check out all of our features, benefits and service tiers by clicking here. Why is Ooma Basic free and Ooma Premier costs money? Why do I have to pay taxes and fees? 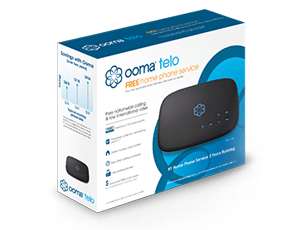 Do I need a new phone number with Ooma Telo?